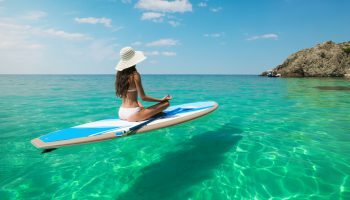 Playa del Carmen is an idyllic beach town located on Mexico’s alluring Yucatan Peninsula, known for its palm-lined, white-sand beaches and turquoise Caribbean Sea. Full of captivating attractions, you can explore crystal-clear cenotes, colorful coral reefs and ancient Mayan ruins. Swim with sea turtles at Akumal Beach, take an exciting boat trip to Cozumel or browse shops, beach bars and restaurants along Fifth Avenue. 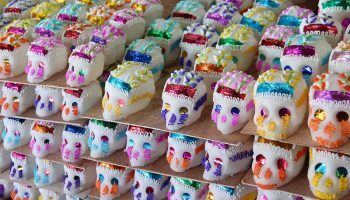 Less touristy than its neighbor Cancún, Playa del Carmen is a great spot for travelers looking for something different than the all-inclusive resort scene. 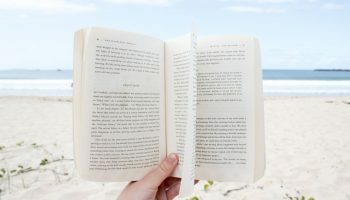 Fortunately, you don’t have to sacrifice on luxury accommodation perks when you book with Airbnb, as you’ll find plenty of lavish beachfront condos and villas suited for A-list celebrities. Splurge and book a villa all to yourself or stay with a group of your friends and enjoy luxury on-site amenities like chef-prepared meals, spa services, sparkling oceanfront pools and fully-equipped kitchens. Located in Playacar, the most luxurious and exclusive part of Playa del Carmen, this six-bedroom villa is the ultimate beachside retreat. It accommodates up to 16 guests and features high-end furniture, a fully-equipped kitchen and a game room. Relax by the private pool and tranquil garden, or venture to the white-sand beach just a three-minute walk away. Daily housekeeping, a private shuttle bus from the airport and access to two private beach clubs is included in your rate, as well. 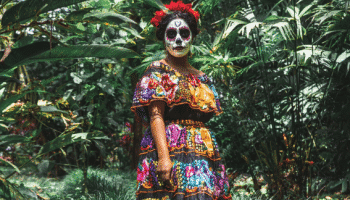 A personal concierge can help organize excursions, spa services or a private chef, while it’s only a 10-minute drive from downtown Playa del Carmen’s Fifth Avenue, Parque La Ceiba and Museo Frida Kahlo Playa Del Carmen. 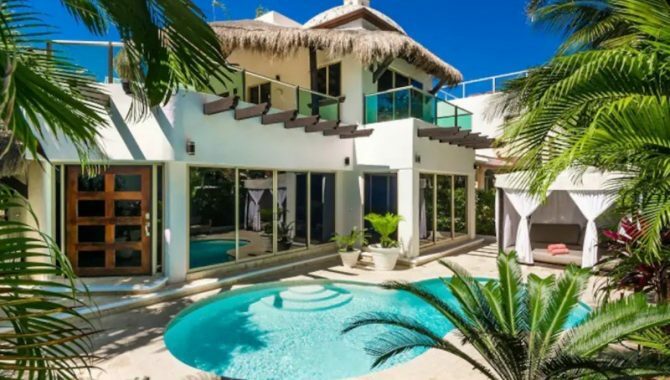 Nestled in the heart of Playa del Carmen, this four-bedroom luxury Airbnb rental is just steps from the white-sand beach. You and nine of your closest friends can take advantage of its impressively equipped kitchen, wraparound sofa, 60’’ flat-screen TV and large living and dining area. Step outside to discover an outdoor terrace with a barbecue area and a postcard-perfect oceanfront pool. The Master Suite boasts ocean views and direct access to the beach and pool, while all of the rooms have large closets, flat-screen TVs and air-conditioning. Explore the nearby Playacar Ruins or pick up souvenirs at Paseo del Carmen Mall, then sign up for snorkeling, horseback riding and jungle tours. Just a 10-minute walk from Playa del Carmen, Casa Marina is a two-story, four-bedroom luxury villa that accommodates up to 10 guests. 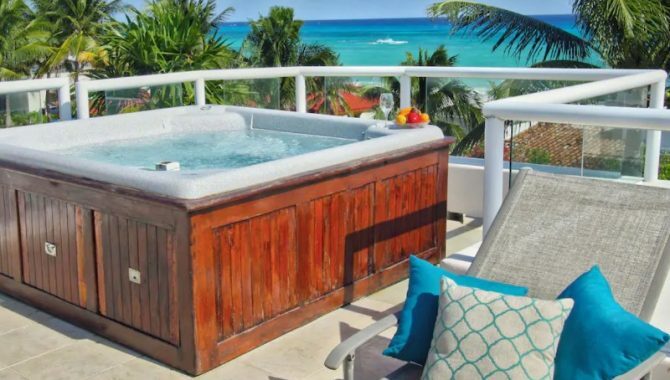 Just one block from the beach, this retreat will have you feeling like you’re world’s away from home with the panoramic rooftop ocean views and grotto pool. 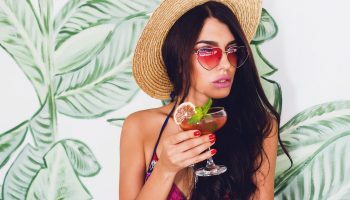 It’s distinctly Mexican with Barro flooring and Talavera tile accents, while modern amenities like a fully-equipped kitchen, satellite TV and a swim-up bar ensure you never want to leave. However, day trips to Cozumel and Tulum offer access to some of Mexico’s most alluring natural attractions. Feeling overwhelmed by all the details? 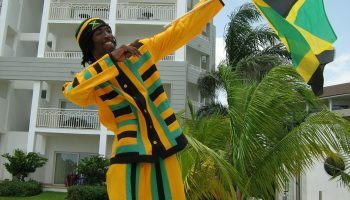 Don’t stress, as the host provides a local guide to help you during your stay. 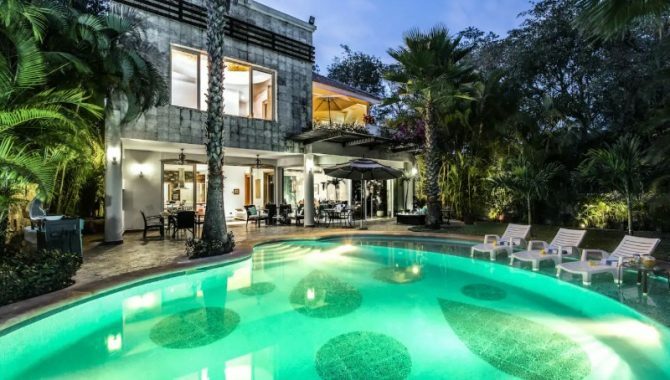 Villa Caterina is an over-the-top luxury villa in Playa del Carmen, accommodating up to 16 guests in five bedrooms. Enjoy lavish perks like a private pool, three indoor Jacuzzies and one outdoor Jacuzzi. There’s a private tennis court, kids area and breakfast served by a local chef, while spa services, bike rentals and chef-prepared dinners are available for an extra fee. Located in a gated community surrounded by an 18-hole golf course, this exclusive area offers easy access to private beach clubs, Mexican boutique stores and local restaurants. If you’re staying for more than four days, the rental offers free transportation from Cancun International Airport. The four-bedroom Magia Complex is popular with families, as it features two living areas, a dining room table for 10 people and a fully-equipped open kitchen. The large swimming pool features a plunge area for kids, while an on-site gym, elevator and covered parking are extra perks. There’s a room with bunk beds for the kids, 24-hour security and if you need to restock the kitchen, a big supermarket is a five-minute walk away. A dedicated concierge team is available to recommend the best restaurants and activities in the area. Ready to explore? The Airbnb is just one block from bustling Fifth Avenue and a beautiful white-sand beach. You’ll feel like you’ve discovered paradise the moment you step onto Casa Marmol, a beautiful three-bedroom beachfront house in Playacar. While its private pool with ocean views will certainly lure you in, it boasts plenty of other enticing amenities, including complimentary WiFi, Apple TV and access to a gym, tennis courts and golf course. 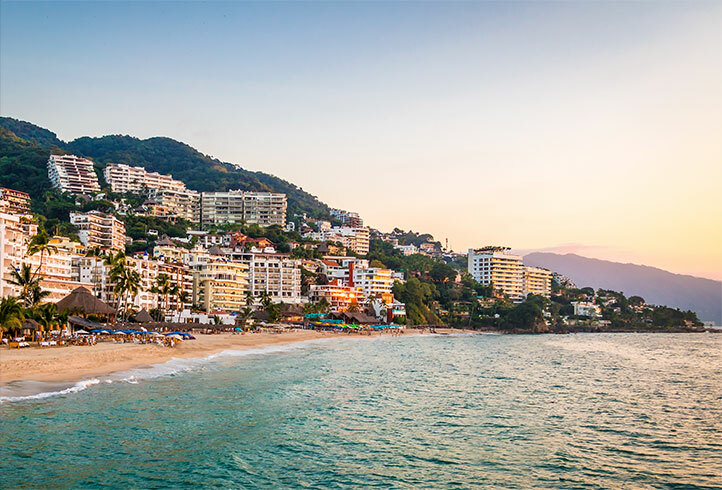 Enjoy a margarita on the terrace or take a nap to the sound of crashing waves, then organize a private chef to come to the house and whip you up authentic tacos, tostadas and other national dishes. You’re just a 30-minute drive from Puerto Morelos, 15 from the beautiful Dos Ojos cenote and five from Xplor Park. Skip the cookie cutter hotels and stay at Casa Maeva, a beautiful private villa with four bedrooms that accommodate up to eight guests. 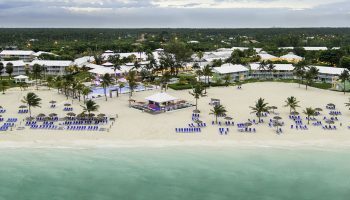 Take advantage of on-site perks like an oceanfront pool, a heated Jacuzzi and private palapa/beach club with a wet bar, shower, BBQ grill and plush loungers. Just a 10-minute walk from Fifth Avenue, this luxury abode is nestled on Playacar’s beautiful beach. Sit on your spacious terrace and soak up the Caribbean Sea breeze or enjoy sunset cocktails in the rooftop Jacuzzi, then make a meal in your fully-equipped kitchen, which has an espresso machine and purified water dispenser. Casa Azul Caribe is a four-bedroom villa with million dollar views. 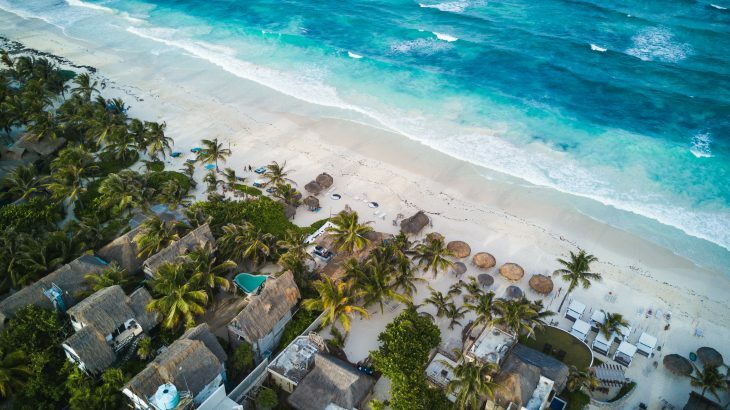 Just steps from the pristine white-sand beaches of the Riviera Maya, this Airbnb rental is perfect for couples or families looking to escape the daily hustle and bustle. Accommodating up to 10 guests, it has a private terrace with a five-foot deep pool with dining for four and plush lounge chairs. You’ll find convenient perks like an open-plan living space, fully-equipped kitchen and washer and dryer, while the bilingual concierge is ready with recommendations to nearby restaurants and discounted tours. Want to know what it’s like to be an A-list celebrity? Stay at Alta Vista, an eight-bedroom beachfront villa that is the epitome of luxury. Not only does it sit on a gorgeous stretch of beach, but it also includes a chef-prepared breakfast, large suites with king-size beds and an open living and dining area. It will be tough to peel yourself away from the stunning rooftop terrace with its a large infinity plunge pool, ocean views and dining area, but the rental is less than a 15-minute walk or short taxi ride to the area’s best restaurants, shops and bars on Fifth Avenue. 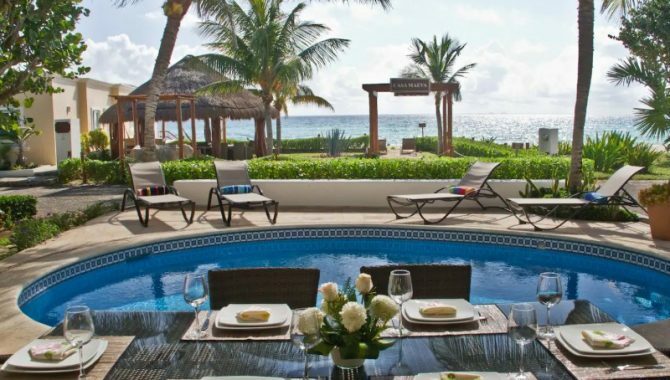 Located in the gated community of Playacar, Casa Nikki is a privately owned five-bedroom villa surrounded by swaying palm trees and the cocktail blue Caribbean Sea. 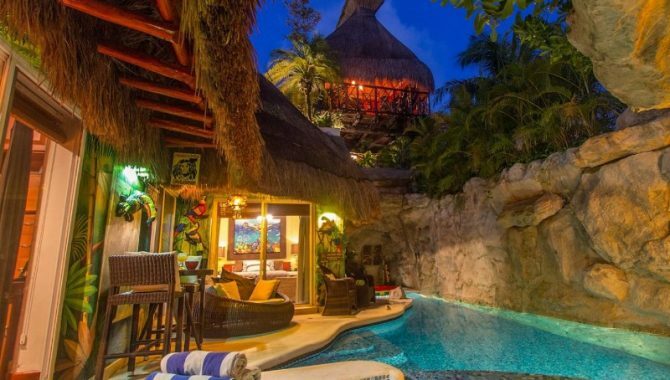 The three-level Mexican-style villa boasts not one, but two sparkling pools. 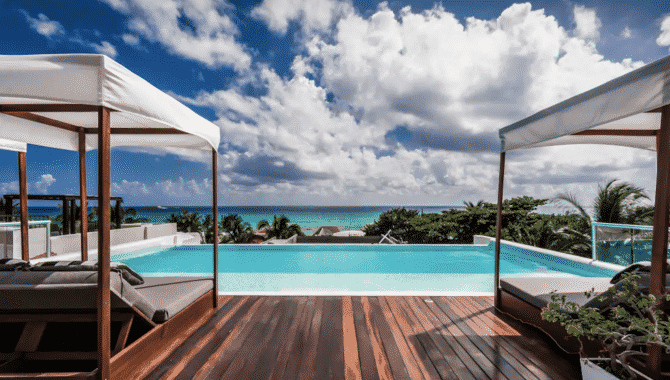 One pool is located near the beach and another plunge pool sits on the rooftop—the ideal sunset viewing spot. Plan to stay at this Airbnb rental for at least seven days and you’ll receive a complimentary dinner served by a gourmet chef. If not, there’s a fully-equipped kitchen and plenty of restaurants within walking distance. 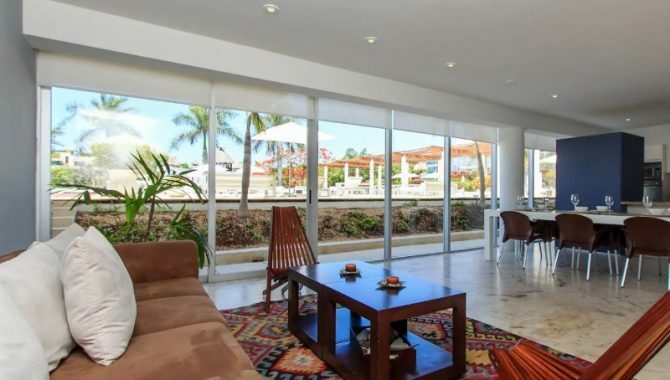 The rental offers a prime location that makes it easy for day trips to Cancún or Tulum, while the stunning caves of Rio Secreto are just a 15-minute drive away. You’re within arms reach of the ocean at Casa Moskito, a three-bedroom oceanfront villa that accommodates up to eight guests. 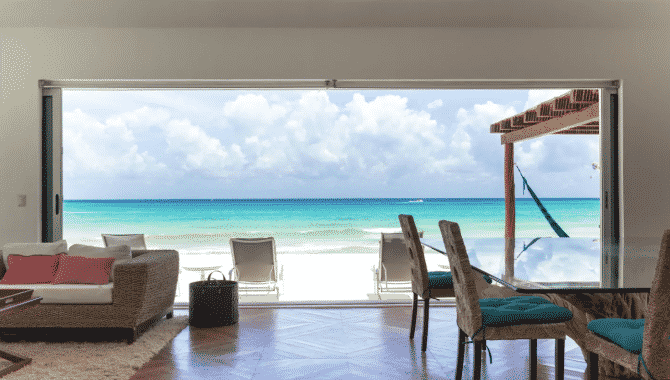 While the oceanfront pool is the most captivating feature of this family-friendly rental, it’s also within easy access of some of Playa del Carmen’s most popular attractions. It’s just a 10-minute walk from the city center and the Cozumel ferry terminal, while the Xcaret Eco Theme Parks are a 15-minute drive away. After a long day of sightseeing, you’ll appreciate the villa’s cable TV, complimentary WiFi and free parking.